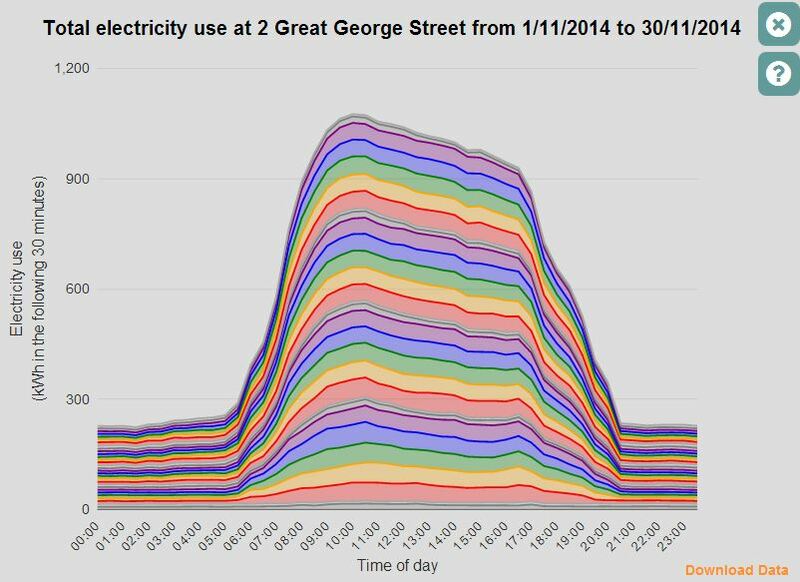 Using the Councils energy consumption dataset published by Leeds City Council, you can explore electricity use at over 200 buildings managed by the Council. Up to five years at data is available at up to 30-minute resolution. The data is represented in a visualisation allowing you to view trends in the data.